What are some of your New Year’s Eve traditions? Mine include cooking black eye peas, collard greens and frying chicken wings. I also watch the Twilight Zone marathon, trying not to fall asleep during the wee hours because that’s when the best episodes air. Kneeling in prayer with hubby and sons then having one of them enter the front door with money in their pocket is another tradition. I also make sure that there aren’t any dirty clothes in the house so I have to start washing early in the day. In addition to washing clothes, I also take down curtains and clean the sofa throws. 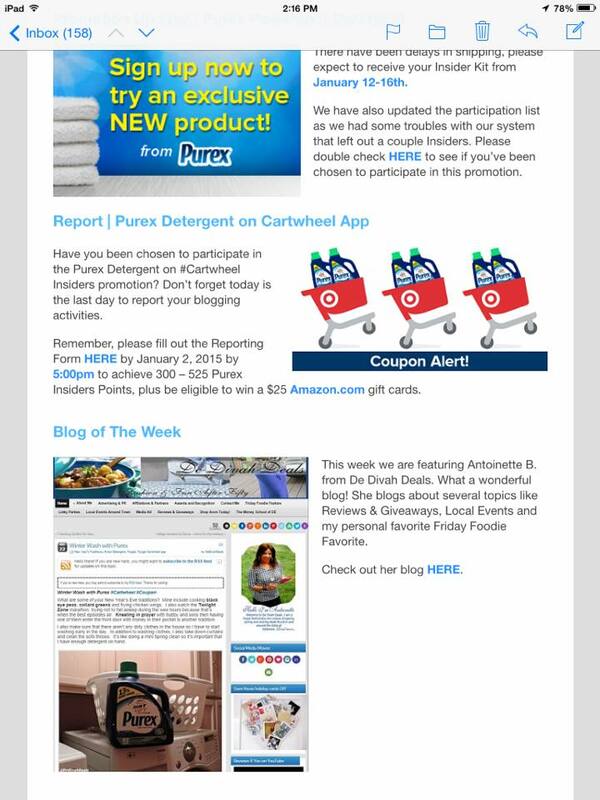 It’s like doing a mini Spring clean so it’s important that I have enough detergent on hand. 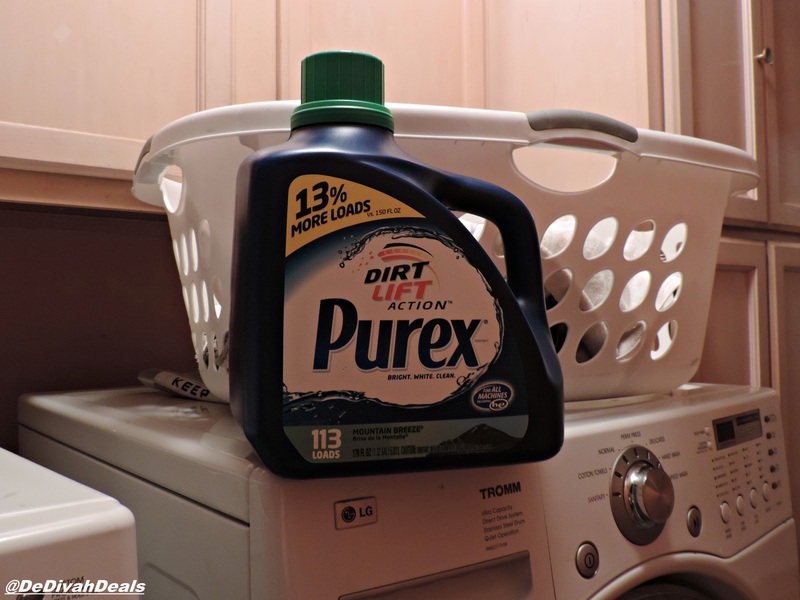 Purex is one of my favorite brands of detergents and thanks to Target’s #Cartwheel #coupon, I was able to save 25% and you know I am all about saving! 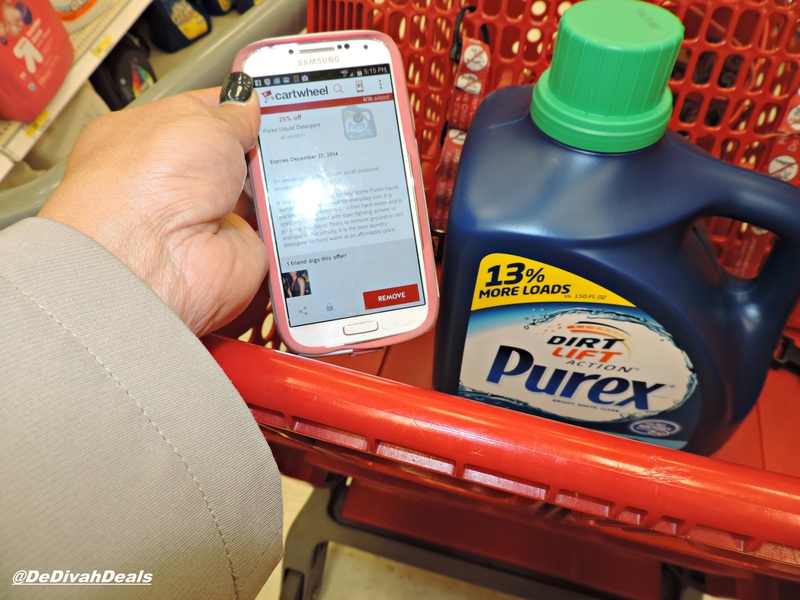 Sharing is caring, so here’s a gift to you; from now through December 27th, you can use this coupon to get the same 25% off any Purex detergent at Target, hurry and download the #coupon today, then share this post with a friend. MERRY MERRY CHRISTMAS AND A CLEAN NEW YEAR!!! I love family traditions and I am wishing that someone would come ring my doorbell with lots of money to share. LOL . . .Merry Christmas my Sista! Be careful what you wish for…hey, sis, if I could, you know I would! Have a blessed Christmas and a prosperous New Year. Oh by the way, what is one of your family traditions? I think you have some wonderful family traditions. Family traditions are probably my favorite aspect of the Holidays. We attend Christmas service, come home to family brunch, open presents and have a Christmas movie marathon. Merry Christmas to you, beautiful and also to your family. I hope that it’s blessed, full of joy, happiness and love. That is a beautiful way to spend the day. Stay blessed my friend! Our last 4 new year’s eve have involved a kiss at midnight and then sleep. Violet will still be up at her regularly scheduled time. I don’t like to start the new year with dirty clothes or house either. Thanks for sharing that awesome deal. You are welcome and I am wishing you and the family a very Merry Christmas and a blessed and prosperous New Year. Thank you for all of your support in 2014!